Last Saturday before the South Africa-Wales game at Twickenham, we spent part of the day at London’s Camden Markets, at the suggestion of Eddie, who had been there before. This is the Horse Tunnel in the Stables part of the Camden Market. First of all, there are the crowds. Never seen so many people funneled through so many narrow aisles and spilling out into heavily populated food courts with tents, carts and stands serving every kind of dish you can imagine. The three of us went for Thai and Jamaica jerked chicken before finding a stand that sold chocolate filled churros — hot and syrupy innards. It would be like taking the stream of people on a Saturday morning at Pike Place Market in Seattle and multiplying it by a hundred through channels of vintage clothing, leather goods, antiques, cooking ware, china, vinyl records, hats, gowns and just about everything else anyone might need or not, all there for purchase. 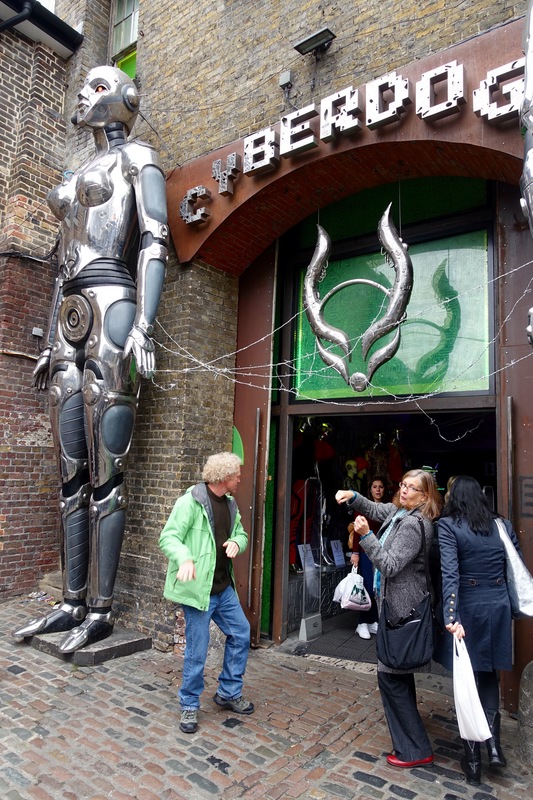 Our first stop was at the Cyberdog shop, three floors of pulsating music, black lights and strange techno objects for purchase. We bought a present for a certain young man who turns 32 this Friday. Hope you like it, Jake. 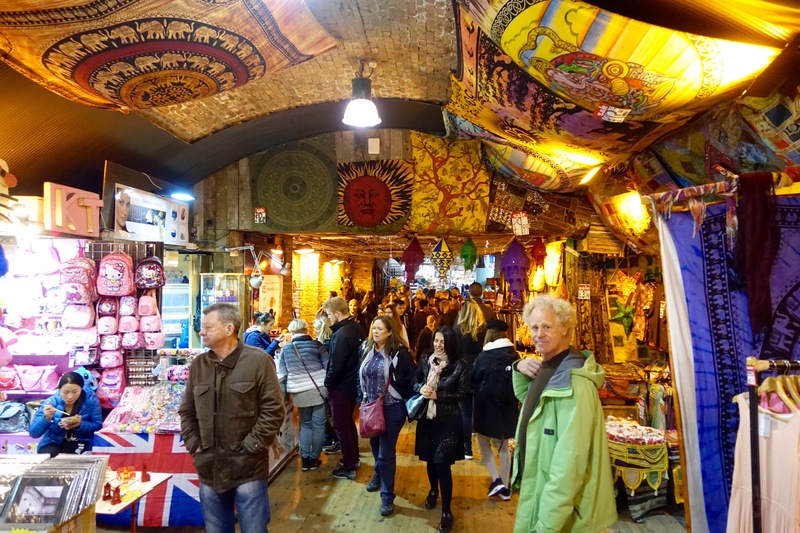 Posted on October 22, 2015 October 22, 2015 by jbsaulPosted in TravelTagged Camden Market, London, Pike Place Market.